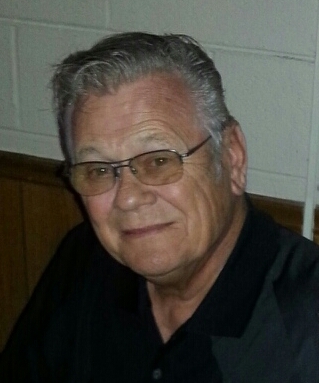 Charles Monroe "Kookie" Jordan, Sr.
Charles Monroe “Kookie” Jordan, Sr. 77, of Hatchechubbee, AL passed away Sunday evening, October 28, 2018 in the comfort of his son’s home in Phenix City, AL. Funeral services with full Military Honors will be held 10:00 am EST Saturday, November 3, 2018 at Vance Memorial Chapel (Vance Brooks Funeral Home) in Phenix City. A private interment will follow at Parkhill Cemetery. The family will receive friends Friday evening from 6:00 to 8:00 pm EST at the funeral home. Mr. Jordan was born September 9, 1941 in Randolph County, NC to the late John Victor Jordan and Clara Cox Jordan Wendt. He served our country proudly and was retired from the United States Army. He was also previously employed by Communicorp, Inc. in Columbus, GA with many years of faithful service as well as Columbus Productions in Columbus, GA. He enjoyed hunting and fishing, boating, and the outdoors. Other than his parents, he was preceded in death by his wife, Frances Dorothy Dobrosky Jordan, his step-father who loved and raised him as his own son, John Joseph Wendt, two brothers, Victor Jordan and Gregory Wendt and his friend and companion, Margie Waller. He is survived by his children, Charles Monroe “Chuck” Jordan, Jr. and wife Linda, Kevin John Jordan and wife Conny, Michael Sean Jordan and wife T J, and Cherie Lynn Ulrich and husband Pete, two sisters, Francine Wendt, and Brenda Hayward, three brothers, Fran Wendt, John Wendt, and Larry Wendt and wife Anna Mae, (14) grandchildren, (7) great grandchildren, a host of extended loving family members, and many caring friends.